Hi! 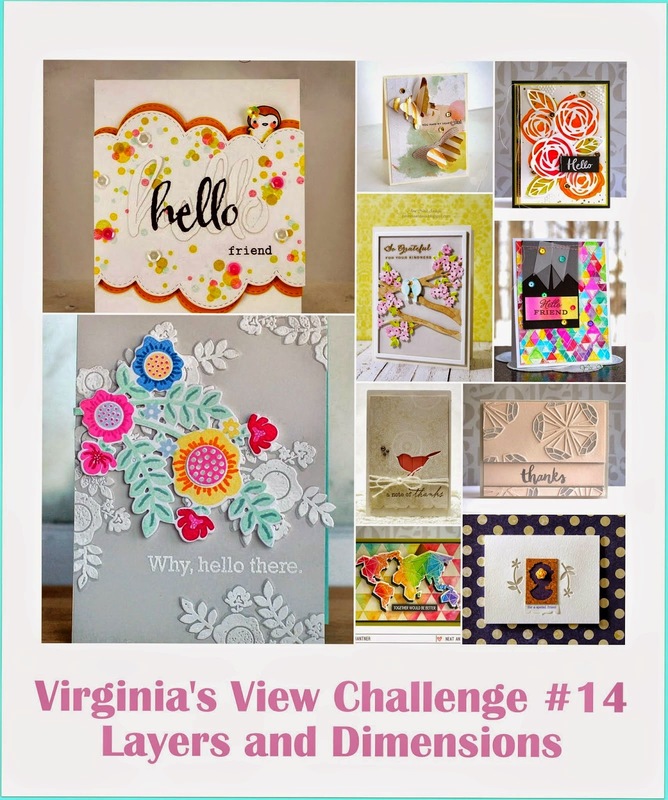 I've missed playing along in challenges lately and when I went browsing yesterday, I found several (actually a lot!) that I would love to play along with, if I had the time. So, I managed to create only one card...but I'm linking to 3 challenges. Take a look! This is how I combined the 3 challenges. My pastel felt and card stock really don't look very "pastel" in these photos. No matter what photo editing software I used, it I couldn't get the true color in my photos. The color is actually a light aqua. I began with a white card base, then layered on some shimmery white card stock cut with a pinking shears die along the bottom. Next was a layer of patterned paper, then aqua card stock, followed by some vintage crochet trim. The notched flowers were die cut and topped with a button, tied with white thread. The final pieces were a sentiment stamped on a tag, then a few enamel dots. I do LOVE layering, even though I haven't done much of it lately. Hmmm. I'll be doing more of that as soon as I get the chance to play again. Well, gotta go. I'm baking and it's almost time to get back to the kitchen! Susie this is a beautiful card, I love your colours. 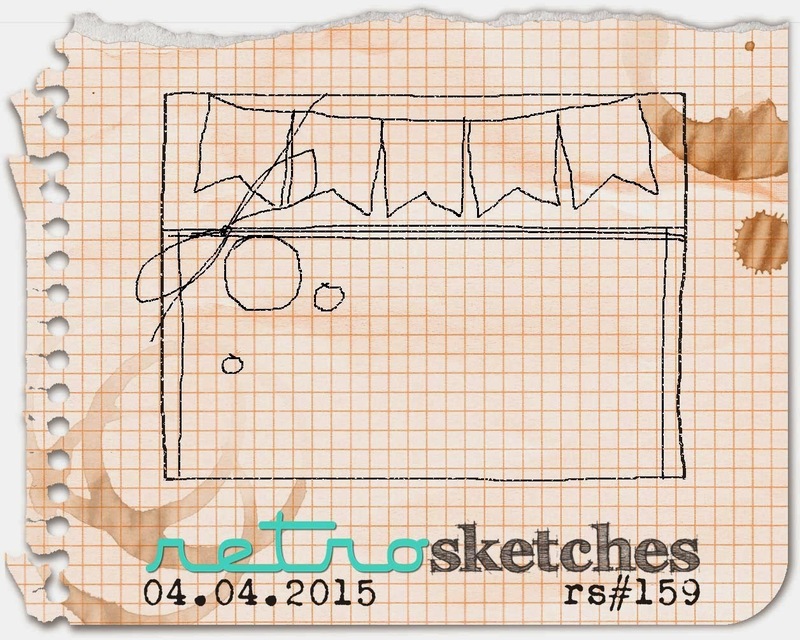 Thank you for sharing with us at RetroSketches!